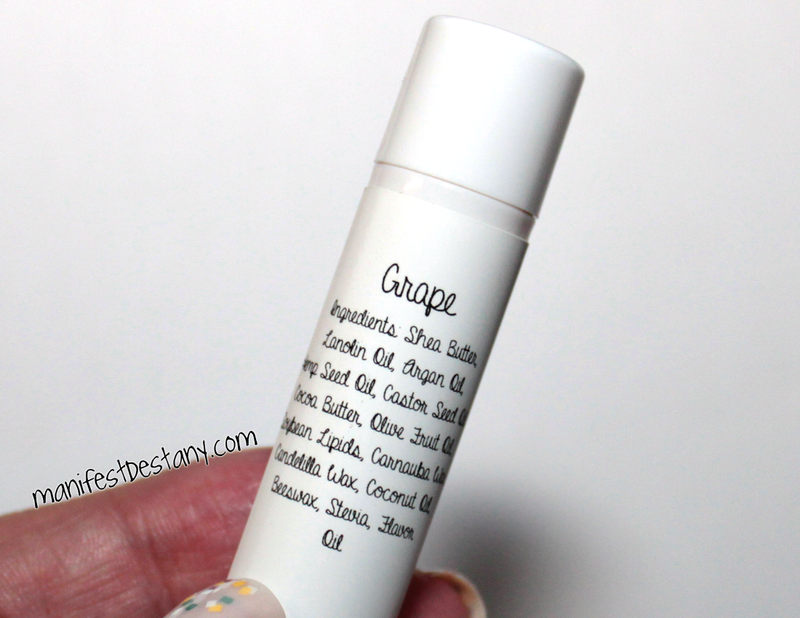 Sunny's Lip Saver in Grape! 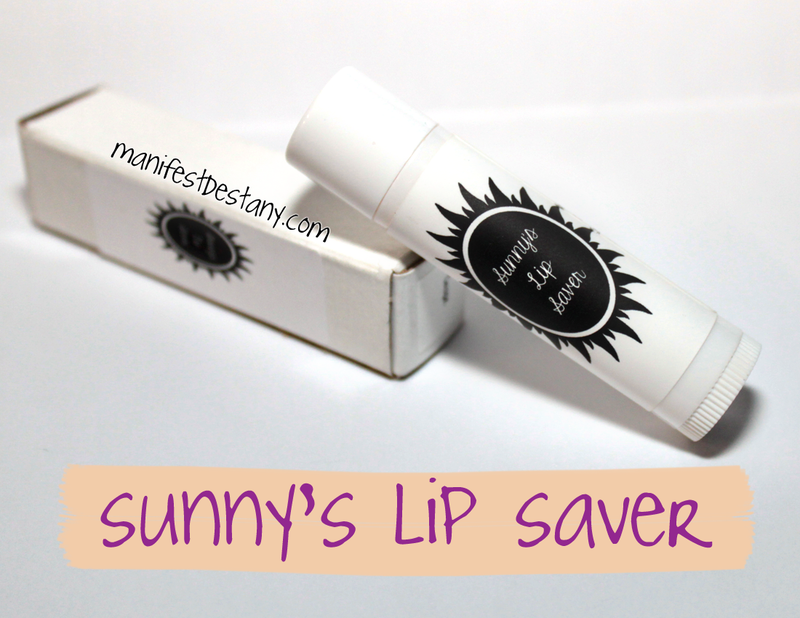 I was super lucky to be one of the testers for Sunny's Lip Saver, a new product from Sunny's Body Products! I have raved about Sunny's cuticle products here and here, but the Lip Saver is a brand new product just released today. I was sent Grape to try out. I LOVE grape. You can see the ingredient list above on the back of the tube. There are currently over 40 different scents for the lip balm! The grape smells divine! But how does the balm feel you might ask? 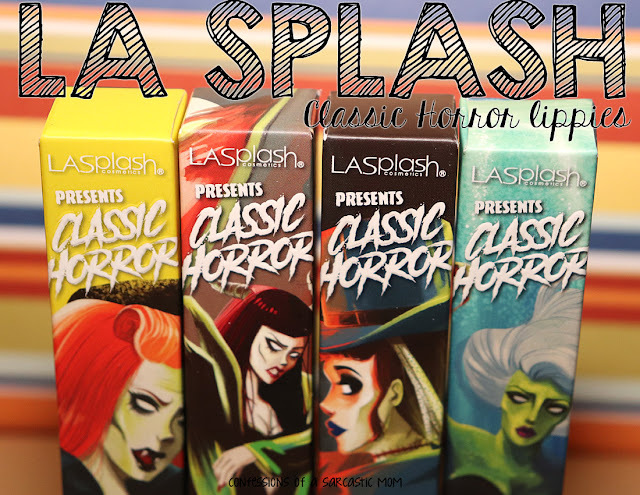 It's thicker, but not so thick that it piles up on your lips. It provides even coverage, and it lasts. I've been slathering this on for more than a week, and it is never far from me now. There is a slight waxy taste, but it's not heavy or unpleasant. My lips tend to get really yucky around this time of year, and in combination with a lip scrub, Sunny's Lip Saver is definitely helping me maintain order! You can order these on the website in a mini duo, full size balms, a sampler pack with a lip balm, cuticle balm and cuticle oil and a lip and cuticle duo!